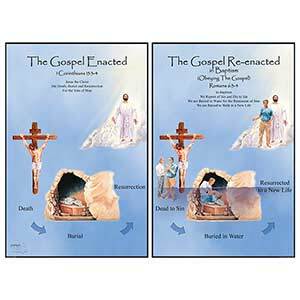 This 18"x 24" teaching poster can work well in a classroom, hallway, foyer or any place where Christians and non-Christians gather. It is laminated for durability and fade-resistance. Poster illustrates the beauty of the Gospel enacted through Jesus.